Great news: Fabian Cancellara, the Spartacus is back! After a 16-year professional career, four World Championship titles, two Olympic gold medals and plenty of victories. From now on, he contributes his rich experience to further improve our product development and is an official GORE BIKE WEAR® ambassador. 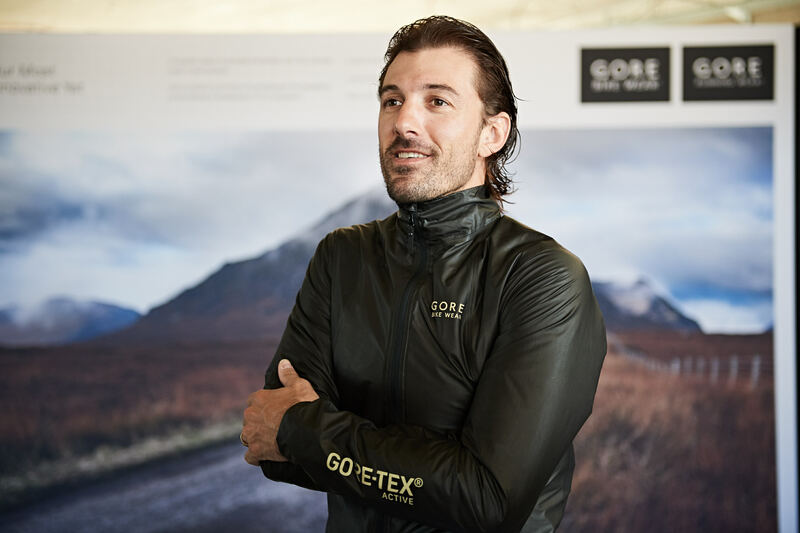 All participants who meet the Challenge goal and are members of the GORE APPAREL CLUB will have a chance to win 1 of 7 ONE GORE-TEX® SHAKEDRY™ jackets signed by Fabian Cancellara. To win - push through 750 km. That’s three times the distance of the legendary Paris-Roubaix classic won by Fabian in 2006, 2010 and 2013. You have 27 days - 27 cobbled sectors that form the legend. The Queen of the Classics. The 'Hell of the North'. Just in case you’re not a member yet: Don’t forget to join the Gore Apparel Club and invite your friends to join the challenge. Have fun riding into the elements. The ONE GORE-TEX® SHAKEDRY™ jackets feature an outer surface that repels water. They are the lightest and most breathable GORE-TEX® products available. Uniquely designed, the technology eliminates the face fabric, preventing absorption of water. You will not experience the chilling effect that can result from a wetted out face fabric and the garment weight does not increase from rain. A few quick shakes of the garment will render the surface dry. 7 ONE GORE-TEX® SHAKEDRY™ Bike Jackets Our lightest and most breathable GORE-TEX® jacket. The 7 lucky winners will be contacted from Gore Apparel by 14. June via a comment in your last challenge activity to arrange for delivery details of the signed GORE-TEX® SHAKEDRY™ Bike Jackets. 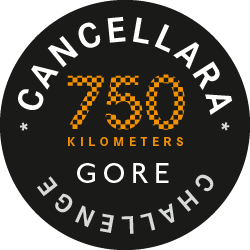 All successful participants of the challenge will receive the official CANCELLARA GORE CHALLENGE badge that will remind everyone of us how great this sport is. You may enter the Skill Challenge by going to the Site on or before 11/06/2017, clicking on the corresponding Skill Challenge URL that will direct You to the Skill Challenge landing page, where You will be entered into the Skill Challenge by clicking on the Join button. Each activity (Run or Ride) must be logged on the Site and cannot be inputted manually. For more information regarding how to log activities on the Site, please see Strava’s How It Works page (http://www.strava.com/how-it-works). Each participant will receive an exclusive digital finishers badge. Sponsor will announce the potential winners of the Skill Challenge within one (1) week after the conclusion of the Skill Challenge on 11/06/2017. All participants will be listed on the leaderboards of the challenge page. Potential winners may, at the option of the Sponsor, be required to complete and sign an Affidavit of Eligibility and Liability Release, where legal, a Publicity Release, and IRS Form W-9. Failure to complete such forms within seven (7) days of receipt of such request will result in forfeiture of the prize. If a potential winner is not of the legal age of majority in the state of residence ("minor"), these documents may be required to be confirmed and signed by the potential winner's parent or legal guardian, and the prize may be awarded in the name of his/her parent or legal guardian who will be required to fulfil all requirements imposed on winner set forth herein. To obtain the names of the winners, any person may mail a self-addressed, stamped envelope after 30 days from the conclusion of the Skill Challenge to 500 3rd Street, Suite #110, San Francisco, CA94107. Attn: Winners’ List. Requests must be received no later than three (3) months after the conclusion of the Skill Challenge. Sponsor and the Released Parties (defined below) are not responsible for: (1) stolen, lost, late, misdirected, damaged, undeliverable or incomplete, inaccurate, delayed, illegible entries due to technical, computer, mechanical, printing, typographical, human or other errors relating to or in connection with the Skill Challenge, including, without limitation, errors which may occur in connection with the administration of the Skill Challenge, the mailing or transmission of entries, notification or correspondence, the processing of entries, the logging of miles, the announcement of the prizes or in any Skill Challenge related materials; (2) technical failures of any kinds; (3) failures of any of the equipment or programming associated with or utilised in the Skill Challenge; (4) unauthorised human and/or mechanical intervention in any part of the entry process or the Skill Challenge; (5) technical or human error that may occur in the administration of the Skill Challenge, the sending of entries or the processing of entries; or (6) any injury or damage to persons or property that may be caused, directly or indirectly, in whole or in part, from entrant's participation in the Skill Challenge or receipt or use of any prize. If for any reason an entrant's entry is confirmed to have been erroneously deleted, lost or otherwise destroyed, corrupted or for any other reason not accepted as an entry into the Skill Challenge, entrant's sole remedy is to enter again into the Skill Challenge. Sponsor may rescind any Skill Challenge entry found to contain such errors or failures without liability at its sole discretion. If in Sponsor's opinion, there is any suspected or actual evidence of electronic or non-electronic tampering with any portion of the Skill Challenge, or if computer virus, bugs, unauthorised intervention, fraud, or technical difficulties or failures compromise or corrupt or affect the administration, integrity, security, fairness, or proper conduct of the Skill Challenge, Sponsor reserves the right, at its sole discretion, to disqualify any individual who tampers with the entry process, the logging of miles and/or to modify, suspend or terminate the Skill Challenge. In the event that the Skill Challenge is cancelled or postponed for any reason whatsoever, the ARV of the prizes will be awarded to the extent required by law. The sponsor of the Skill Challenge is Strava, 500 3rd Street, Suite #110, San Francisco, CA94107. If You do not wish to receive any further notices from Strava regarding future promotional offerings, send Your name and address to: 500 3rd Street, Suite #110, San Francisco, CA94107. Attn: Opt-Out. There are no prizes for this competition. Sponsored by Strava,500 3rd Street, Suite #110, San Francisco, CA94107.